The day the Artifact was created, the sky was bright and sunny. White, puffy clouds lazily moved across a bright blue expanse. A soft wind stirred the tops of the trees. A father directed his sons to a stand of giant timbers. The children stood in awe at the base of the tallest one shouting for it to be the one, but the father shook his head, he knew what he wanted. He pulled the children to the side, to a tree that had been long abandoned to rot though parts of it were still solid. If the tree had been human, it would have been considered ancient, wizened, even deformed. But this damaged tree would turn into a beauty beneath the father&apos;s caring hands. Once the decision was made, the boys pulled out their small axes and banged them against the tree. Once or twice a tiny chunk of bark would fly from the trunk of the old tree, but they made little progress. The boys stopped and pouted. They wanted better tools, but the father reminded them that they were doing this the old way. No modern tools allowed. So the boys tried again and succeeded in removing a bit more of the rough exterior of the tree. Still, if they continued as they were, it would take them days to complete the task. So the father offered his help. Once the boys were settled a safe distance away, their father hefted his long-handled ax. He bounced it in his hand a few times letting his large arm muscle dance with the weight of it. The boys laughed, as he had hoped they would, but they also dreamed of the day they would be as sturdy as their father. The man split through the bark with a few licks, and from there it was just a matter of perseverance. He chopped at the wood with steady, solid strokes, chips of wood flying around him. The boys watched in awe. No one was stronger than their father. When the tree was felled, the three dragged it home. Some of it would go into the fire bin to keep the house warm when the winter winds blew, and some parts, the most unique parts, would make a box. Choosing a section filled with tight knots and whorls, the father ran his hand across it anticipating his creation. It would be extraordinary, much better then the father dreamed. The man instructed his sons as he built, letting them work the small hand saw, showing them how to find the beauty of the piece. He explained how to plane the wood and sand it until it felt like butter. When it was done, they stood back in wonder at what they had created. Mother came with drinks and snacks, exclaiming her excitement over what they had created. Nothing they had made had ever looked so good. And she was right. Once born, the box gleamed in the light, the intricate pattern something rarely seen. It was a treasure, and they treated it like one. It proudly sat in the most important place in the whole house, on the fire mantelpiece. Time passed, and the boys grew into men. The father prematurely lost his brawny bulk, wasting away with sickness. When the time came, they picked out a box for their father and remembering his fondness for woodworking looked for the most beautiful one, but nothing came close to that small box they had made together on that bright sunny day. When the boys moved away, the Mother insisted that they take the box, telling them that it was more theirs than hers. A piece of their father to carry with them. So they found the place of honor in the new home they shared. The top shelf of a bookcase. Mostly it gathered dust, but from time to time one of the boys would take down the box and run their hands across the still gleaming surface. They would lift the top lid and look down into its empty interior, and then they would turn it over and pop open the tiny hidden drawer their father had added to the bottom. And they would remember the day they built the box. They would remember their dad. One day as the box sat on its high perch, there was the sharp bang of the outside door and the angry shout of voices. The boys were arguing, not the good-natured arguing they usually enjoyed, but something red and raw. "I don&apos;t know! I didn&apos;t mean—"
"I&apos;m glad Father died before he saw what you&apos;ve become!" A heavy silence filled the air, and the box was picked up and thrown into a bag along with some other odd items. A map, a compass, a large book, vials filled with an unknown substance, and something small. Small enough to fit into its secret drawer. On top of that, the boy crammed clothing, a bit of food and a few water bottles into the pack. The items pressed hard against the top of the box. The boy swung the pack onto his back and looked at his brother with a mixture of shock, disgust, and sympathy. "I will try to fix this, though God knows how. But if I can&apos;t, this is on you. You and all your evil allies." "Thank you, brother," he said through the cloth mask that covered his face. As he fell to the couch in grief and loathing for himself far greater than his brother felt, he choked out "I&apos;m sorry" around his rough cough. But it didn&apos;t matter. His brother was already gone. The box bounced along as it and the boy traveled. Sounds were odd. A wind sped by, a hum, then the slap of water against a boat. From time to time, the boy would take the box out of the pack and hug it tight to himself as he cried. Once there was a shout and a flash of light so brilliant that it lit up the inside of the dark pack. Then it was quiet. Eventually, the sound of a large boat slicing through the waves made its way through the dim interior of the bag and finally, the feel of solid ground under the boy&apos;s feet as it once again bounced against his back. The box was pulled from the pack and after a loving pat from the boy, thrust into the hands of a stranger. The boy showed the stranger all the box&apos;s mysteries including the secret drawer in which he put the small item. The stranger held the box tightly but carefully against his body as he turned from the boy, and when he arrived at his home, he put the box in a place of honor. The mantel of above the fireplace. Chaos came, unbelievable upheaval. The stranger grabbed the box off the mantel before it bounced off and raced behind two young boys as they entered the ocean. Over time, a home was built in the sea, and the box was once again given a place of honor. It was not worshiped, but it was treasured. For its beauty, for what it held. A remedy for all humankind waiting for the day it would be needed. For decades, centuries, it held a place of honor in that cave under the sea surrounded by a garden fit for a wonderland. Precious gems were added to its exterior enhancing the beauty of the box, and they shone in the light. The box was a silent sentinel, a protector of the cure. Now it was more than merely a box, it was an antique, a relic, an Artifact. One day, rough hands grabbed it from its pedestal and ran. The Artifact, once again, saw the bright blue sky before it spent years imprisoned in a grisly laboratory. It was poked and prodded until all its mysteries spilled onto the table in front of an evil group of men. Secrets exposed, the Artifact was cast aside. It was shelved in a dark, back room until dust caked every part of it. Then the day came when someone grabbed it off the shelf, swiped at the dust and put it on display. First at the city&apos;s Museum of History, then at Seaside&apos;s Marine Center. The Artifact shone with joy, if not with purpose. Today, it was once again on the move, through the depth of the sea and back to the underwater city. Clutched in Ian&apos;s arms as he raced his water bike through the ocean, it was returning home. But what Ian wanted of it, what they all wanted, it could not fulfill. Ian thought he triumphantly returned home with an elixir of life, but he was wrong. The Artifact was empty. It had been empty for a long time. 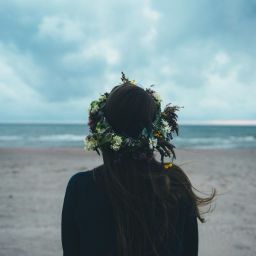 A/N: This may seem an odd little chapter, but it is an important one. Maybe you can piece out a little bit of how important the Artifact is. 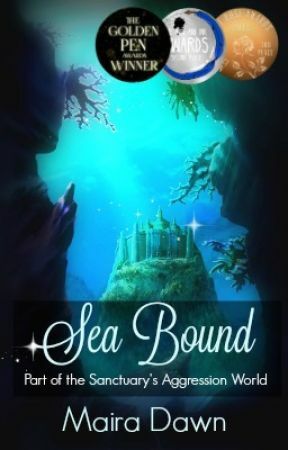 Thank you so much for reading Sea Bound!